I first learned about the Holocaust as a middle school student at Hillel Day School in metro Detroit, but it wasn't until high school that I became aware that the United States could have done more to help European Jews looking for safe haven. As a high school student studying the Holocaust I remember being shocked that the U.S. State Department clung to its strict application of the 1924 Immigration Law during the Holocaust, which made it very difficult for Jewish refugees of Nazi Europe to obtain entry visas. Later, as a college student I devoted an entire semester to researching the restrictive immigration policies maintained by U.S. consuls, which delayed and rejected granting visas to the Jewish refugees fleeing persecution for national security reasons. By the time the U.S. realized it needed to take in these refugees, it was too late. That was a harsh lesson that our nation learned in the middle of the last century. However, it's now more than seventy years since that time and our country seems to have forgotten our responsibility to refugees who are fleeing persecution. Just over a month ago, Michigan's Governor Rick Snyder, who I think has served our state well, said he was working with the federal government to figure out the best process for Michigan to accept refugees from Syria. Of course, he made the caveat that these refugees would have to be carefully screened to assure they were not security threats and that makes complete sense. I am very disappointed, however, that today Governor Snyder, like several other governors, has done a complete 180 on Michigan's policy toward these Syrian refugees. Efforts to bring Syrian refugees to Michigan have now been delayed following Friday's terrorist attacks in Paris. 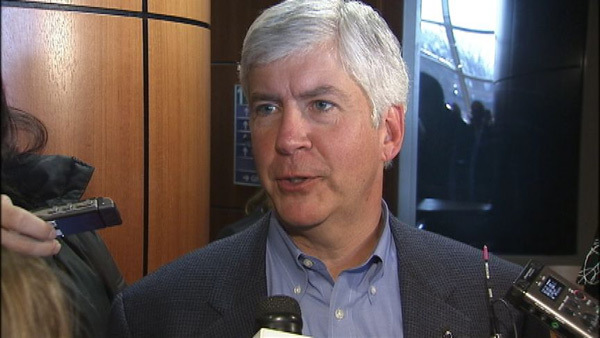 Governor Snyder has continued to say that Michigan is a welcoming state is proud of its rich history of immigration, but as of now he is unwilling to welcome in the hopeless refugees from the Middle East. While this might sound like the most cogent policy in order to ensure the security of Michigan, I'm not convinced it's the right policy. In fact, it's the same excuse the U.S. government used in the 1940s when our country could have provided a safe refuge to the thousands of Jewish men, women and children fleeing Hitler's Europe. It certainly isn't the right moral choice and I would think that Governor Snyder would know better. We cannot allow Islamic State's threat of terrorism to prevent us from doing the right thing, which is participating in potential Syrian refugee resettlement efforts and serving as a safe haven for Syrian refugees. Governor Synder: Michigan's better than that! What about Michigan's homeless and veteran population? I am of the school that we should take care of all God's children, rather than give asylum to refugees from Syria at this point. What if I claimed religious asylum in Canada? Would they welcome me with a place to stay, food, water, and medical care? Just sayin, shouldn't we take time to screen these refugees first? The comparison of the Syrian refugee situation to the tragic FDR policy to restrict Jewish refugees from admission to the Us in the 1930's and during the Holocaust is unwarranted and historically untenable. Today, there is real concern in regard to Syrian and ethnic and religiously cognate groups as they concern our community. As a teacher, I had Arab high school students in all my classes during 9/11 and their bigotry and foul behavior shocked even my non-Jewish colleagues to the core, an experience that remains within them to this very day. The dancing by the local Moslems during the collapse of the twin towers and for hours afterward in the streets of Ftatbush on Coney Island Ave. in the heart of Jewish Brooklyn is still remembered by all [yes, all]. Any comparison between these two issues is flawed, and an outright falsehood. What? Seriously? You think it's in America's interest to label military age muslim men refugees, and welcome them into the United States? And you think that's in the Jewish interest too? This is the lesson you get from the Holocaust? You think the hijra-ists are the modern day Jews fleeing from Hitler? Such thinking is upside down. It's terribly misguided virtue signaling. Rabbi, it's time for you to re-boot and start from scratch.